HD Series derails are fabricated from tough carbon steel, and are produced using a proven design featuring a lower height above the rail head. They will derail all rolling stock including mainline locomotives when installed and used properly. 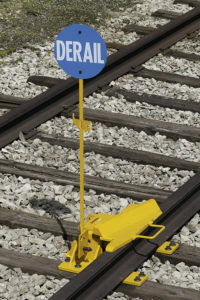 Flexibility: Hinged derails (both single-end and double-end) come in two sizes, which cover rail sizes 70 lb to 141 lb. 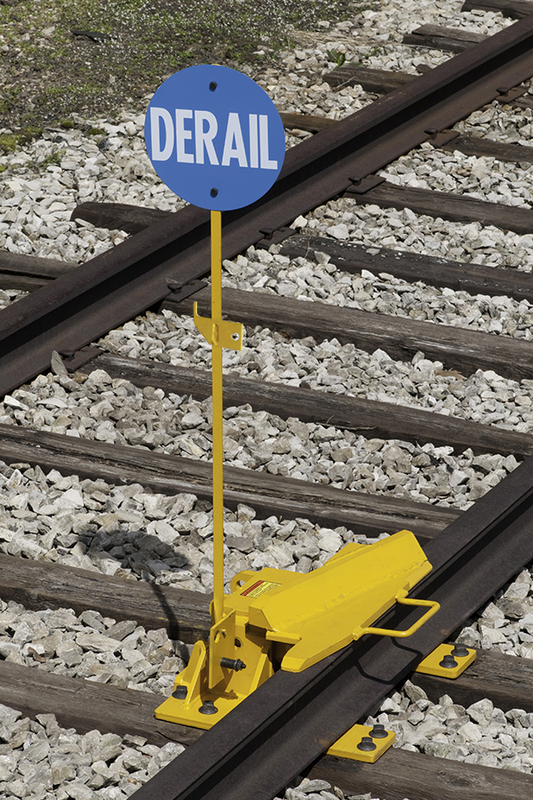 See the individual product pages for detailed descriptions and specifications for each type of Nolan derail.